Megan Elvrum: HAPPY Embrace You Geekness Day! HAPPY Embrace You Geekness Day! July 13th is known as Embrace Your Geekness Day! Did you know that?! Me either! Thanks to Sam over on SingleHop for letting me know, so I could embrace my GEEKNESS and share it with you! The day was created by Wellcat Holidays. I know us nerds don't need an official day to embrace our geekness, but it is a nice way to be reminded and it comes at the PERFECT time of year...so close to SDCC! Even before I knew what the word nerd meant, I was one. 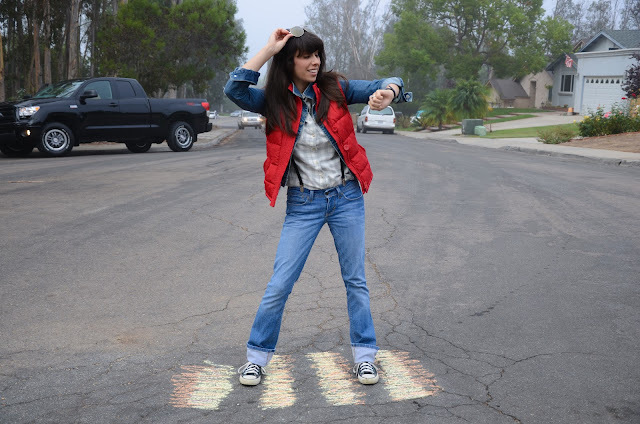 When I was young, nerd wasn't what is is today, it was a negative thing. I spent my high school years trying to fit in and being "cool," but never felt like I totally did. I wasn't one of the cool kids and it took me until my first San Diego Comic Con in 2009 to finally realize that that was a good thing. Thanks to San Diego Comic Con, I finally found the friends I was meant to have and it finally gave me the courage to pursue a passion that I already had inside of me. I am so happy to blog and connect with nerds everyday. I have met so many awesome people I would have never had if it wasn't for this blog and social media. My proudest geek moment would be anytime someone comments on my blog thanking me for helping them with anything nerd related. Anytime I can connect with another awesome nerd on Twitter. Or when I can meet any of you in real life! It is so fun to chat about things we have a huge passion for! Second proudest moment would be The Daily Dot naming me one of the top 7 Twitter accounts to follow for SDCC in 2013. That really made me feel amazing because the reason I started the blog was to help anyone find their way at SDCC! 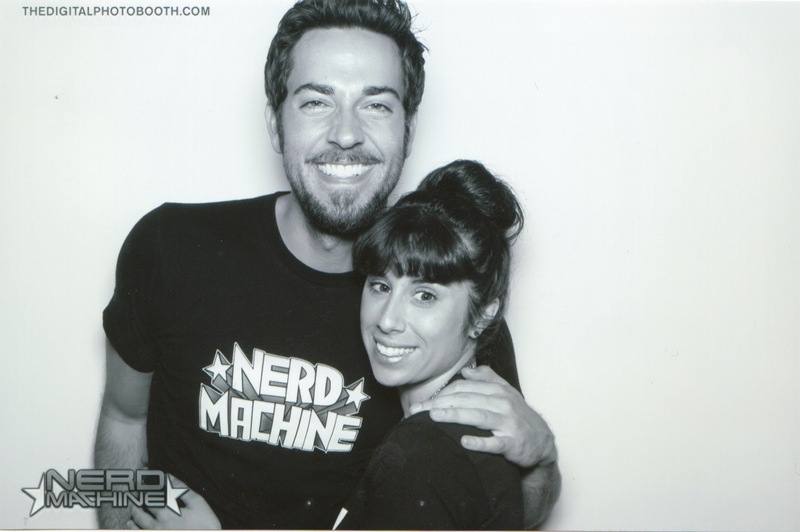 Through discovering the nerd community and all the celebrities that embrace their inner geek with ease, I have really admired Zachary Levi. From the moment I first saw him at my very first SDCC in 2009, not even knowing who he was, I knew he was someone special. He was so humble, grateful and kind to all his fans! hat made me want to be a fan of his. How do you all embrace your geekness daily!? Share with me in the comments below and don't forget to wish everyone HAPPY EMBRACE YOUR GEEKNESS DAY!! I embrace my geekiness daily by literally just wearing every fandom-y tshirt I own! At first my mom would look at me funny (i'm only 22 so I still live at home when i'm not at school) and I tried last year to wear 'normal' clothing but I can't do it. 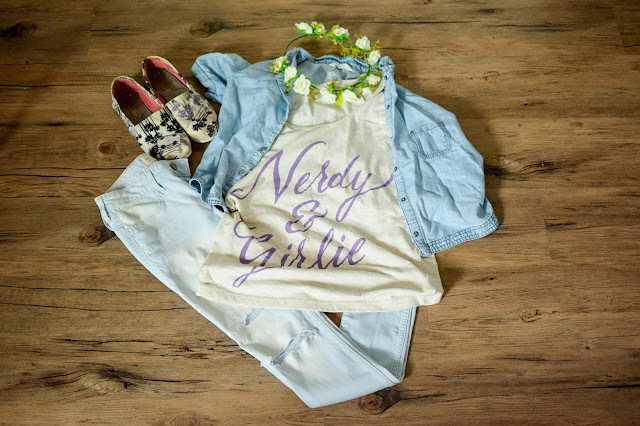 Gotta embrace the nerd. 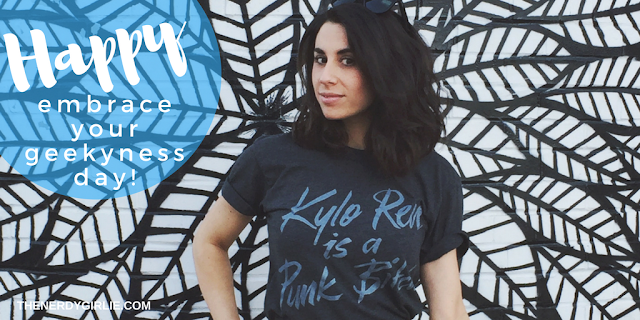 On a side note, where can I find the Kylo shirt in your main image?! I need it in my life ASAP! Thank you for embracing your geekyness with us! You're awesome!